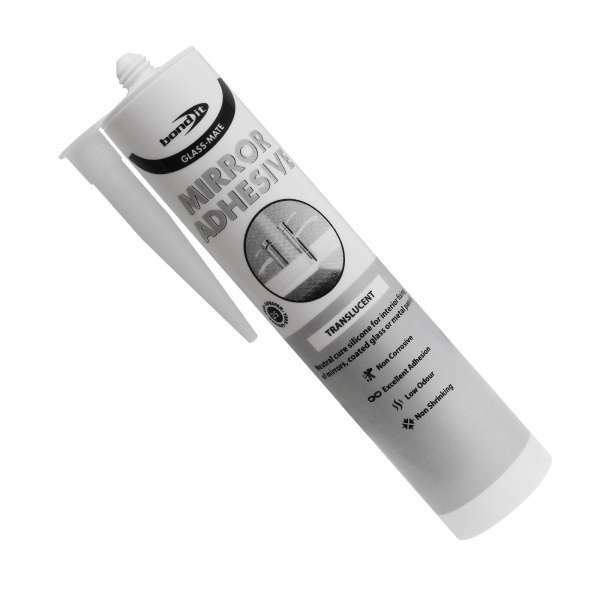 Product information "Glass-Mate BDMIRT Mirror Adhesive"
Neutral cure, non-corrosive and odourless mirror adhesive, which has excellent unprimed adhesion to most mirror coatings. GLASS-MATE, which has outstanding resistance to heat and humidity and is unaffected by sunlight, ultra-violet radiation and temperature extremes can be used on many surfaces, including: mirrors, coated glass, glazed surfaces, ceramics & enamel, metals, uPVC & polycarbonate and wood. Conforms to ISO 11600-G-25LM and BS5889:A.
GLASS-MATE should not be used in the manufacture of structural glazing. It's also not suitable for aquarium assembly or for jointing in swimming pools or other submerged applications. GLASS-MATE is not recommend for use in food grade applications. 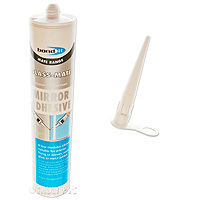 Related links to "Glass-Mate BDMIRT Mirror Adhesive"
Customer review for "Glass-Mate BDMIRT Mirror Adhesive"